Two weeks ago, 30,000 people gathered in Quito, Ecuador, for Habitat III, the once-every-20-years UN conference on housing and sustainable urban development. At the conference, 167 country representatives adopted a non-binding but influential vision for cities of the future known as the New Urban Agenda (NUA). This declaration will help steer national decision-making over the next two decades while it supports the Sustainable Development Goals – especially Goal 11 on cities – and the Paris Agreement on climate change. 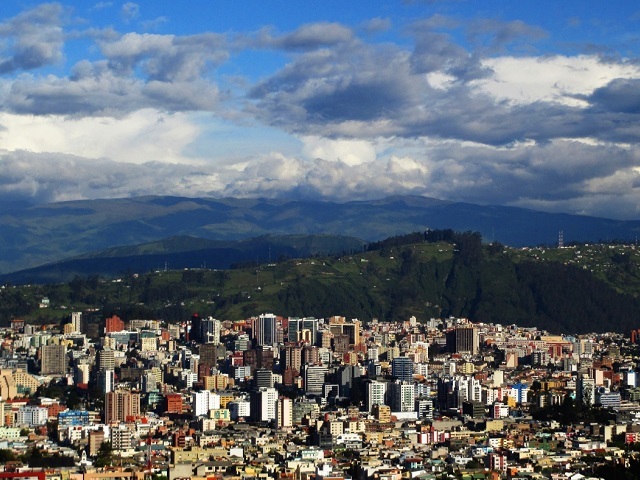 Going forward, what does the Quito meeting mean for urban leaders? Beyond climate action, the conference recognized the need for social inclusion. While participants used different language to describe their focus on equity — “The Right to the City,” “Cities for All,” “Leave No One Behind” — the conversation centered on how urban design and policy can be used to improve quality of life, safety and prosperity for all urban residents. WRI’s launch of the first installment of the World Resources Report in Quito helped move the conversation from theory to action. Another positive sign was the inclusion of a wide range of participants in the conference. Civil society organizations and the business community both had strong voices in the discussion, demonstrating their intent to invest in the future of cities and their belief in the importance of good urban development. Local governments also displayed a commitment to action, including the commitment of 7,100 cities to measure, report and set targets for carbon emissions as part of the Global Covenant of Mayors. After a challenging process of coming to agreement around the New Urban Agenda, it was clear from Habitat III that pivoting toward action will require including these voices. Habitat III also saw a few new commitments from countries, multi-lateral development banks and other stakeholders to help achieve the goals of the NUA, including safe and accessible urban services, strong urban planning policies at the local and national level and action-oriented partnerships for implementation. For example, Germany’s Federal Ministry for Economic Cooperation and Development committed $1 billion in Euros next year to finance sustainable urban mobility projects around the world. The Global Platform for Sustainable Cities, led by the Global Environment Facility in partnership with WRI, the World Bank and others, also launched a resource group to bring together global thought leaders to create new decision making tools for cities. Going forward, the international community will need to build on these initiatives to continue the momentum post-Quito. Less than a month after Quito, international negotiators will meet in Marrakech to chart the next steps for action on climate change. Urban champions should leverage the NUA to ensure that the role of cities in mitigating and adapting to climate impacts is on the agenda. The Paris Agreement was not a key topic in Quito, but cities need to be part of the climate discussions at COP22, since cities are where some of the most severe climate effects will be felt and where an increasing slice of the global population will live. The New Urban Agenda aligns with the core of both the climate process and the Sustainable Development Goals, as future solutions for urban challenges will need to be aligned with the Paris Agreement’s goal to limit global temperature rise to 1.5 degrees C (2.7 degrees F) above pre-industrial levels, and NUA’s core message is that development must be more equitable and inclusive. Initiatives such as the Global Covenant of Mayors and the Paris Process on Mobility and Climate can help jump-start these discussions. Balancing power and responsibility between local and national governments as they start implementing the NUA will be tricky, but necessary. Local actors should continue to draw on the NUA to guide decision-making, while national and regional bodies should seek the frameworks best suited to their laws to support and empower cities. One of the conference’s missed opportunities was the low profile of the Quito Implementation Plan (the UN’s proposed platform for coordinating and publicizing efforts from non-state actors and stakeholders), which could have helped maintain momentum. Implementation might still be strengthened using provisions of the Sustainable Development Goals and the Paris Agreement. It is also essential to begin the discussion of how to hold national governments accountable for the commitments they’ve made through the Habitat III process. Without accountability, it will be impossible to ensure that all are doing their part to achieve these urban and global goals. As the world celebrates the adoption of the New Urban Agenda, we must remember that the hard part is only just beginning. The pressure is now on us to ensure that the legacy of Habitat III is one of action. The resounding message from the tens of thousands of Habitat participants, and the surprisingly high number of young people at the conference, clearly states that our future is an urban one, and it has never been more important to make sure we do it right.